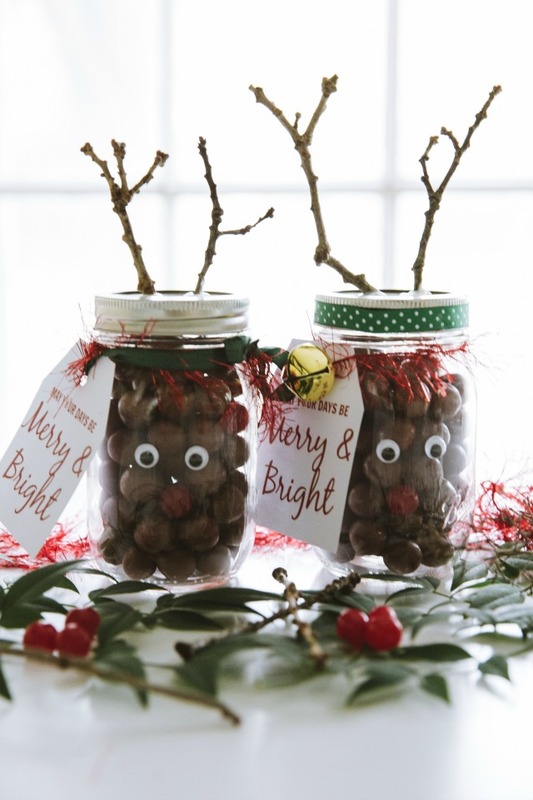 Reindeer Nose Gift Jars - C.R.A.F.T. I teamed up with Newell Brands, makers of Ball® Fresh Preserving Products to share 3 DIY gift ideas using jars. The holidays are sneaking up on us fast! Thanksgiving is days away, and Christmas will be here in less than a month! 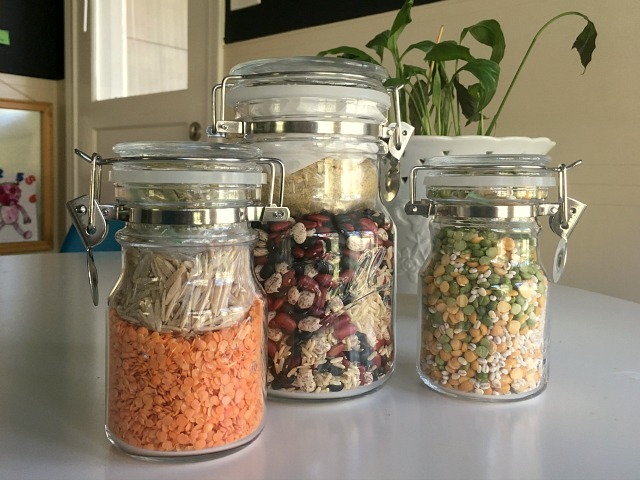 I teamed up with Ball® Home Canning Products to share 3 fun and useful holiday gift ideas. The first gift is a winner with almost anyone. Who does not love homemade mixed berry jam? The second gift idea is for the kiddos, but parents will loves these too since they double as car toys for long road trips. I made 5 versions of an I-spy jar. 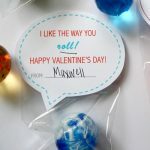 The final gift idea is a sweet treat for neighbors, teachers, or even the mail man! 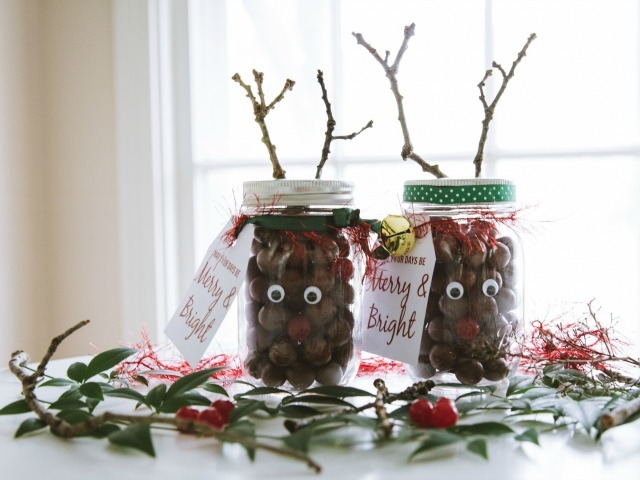 How cute are these reindeer nose gift jars complete with free printable tags?! 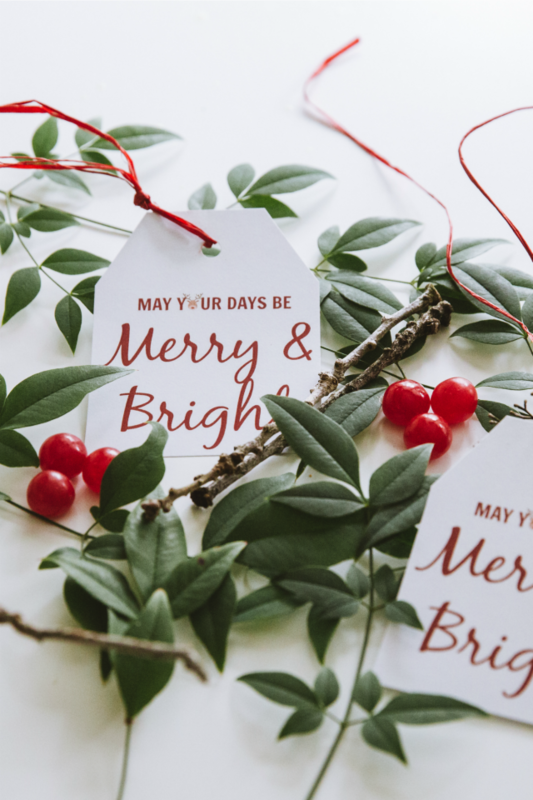 First thing is first, you need to get your “May Your Days be Merry & Bright” tags printed. (Click the link and save it to your computer.) Four tags print per sheet, and I always prefer to print on card stock. Once you’ve got the sheets printed you will need to trim the card stock down to look like tags. I like to cut each of the four tags into a rectangle first, and then trim the upper corners to give each one a nice tag shape. 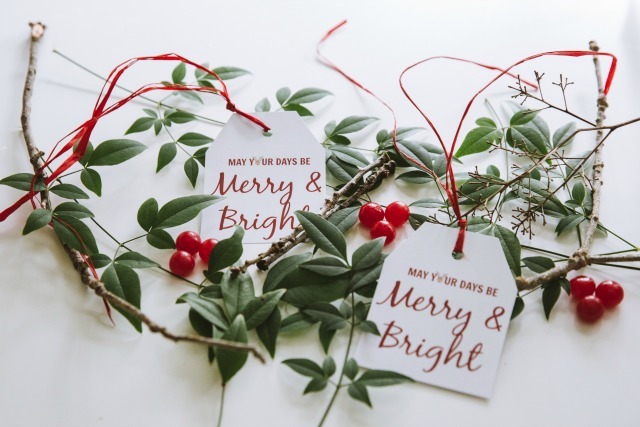 The last thing you need to do with the tags is punch a hole in the top of the tag and tie a ribbon or raffia through the hole to secure it to the jar. Now, that you’ve got your tags ready to go, it’s time to fill up the jars. Fill each mason jar 3/4 full with Whoppers. 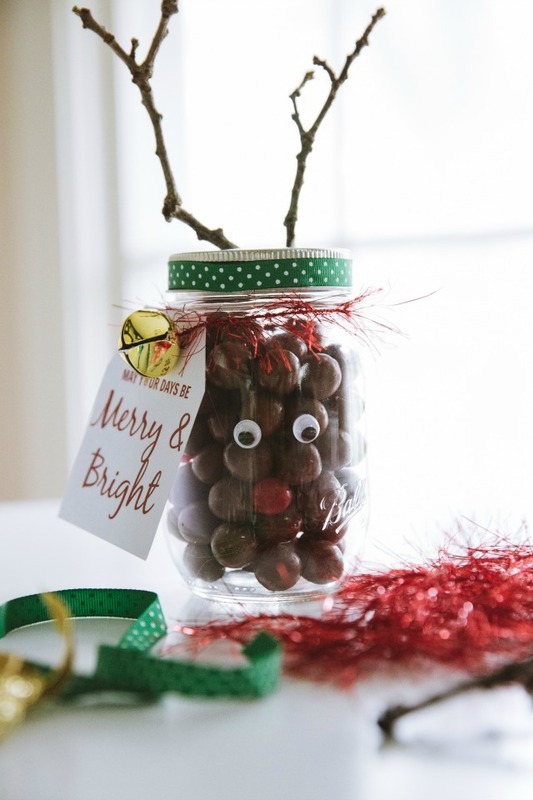 Then, add a few “Rudolph noses” to the jar and top with more Whoppers. Make sure there is at least one cherry sour candy perfectly placed in the center of the jar so that it can be seen. Stick 2 google eyes right above that perfectly placed “Rudolph nose”. Next up, antlers! 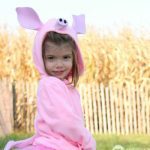 While you are waiting for the hot glue gun to heat up, take a step outside and grab a few twigs. Almost any twig will work, and you can easily trim the twigs to be the same size with scissors or by simply breaking the twig off with your hands. 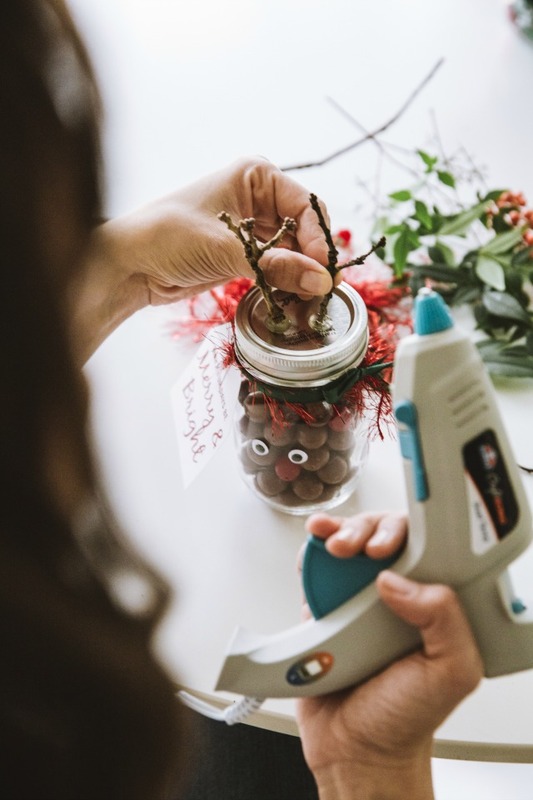 Hot glue 2 twigs to the top of your Ball® jar. Now, it’s time to spruce up the jar with scraps of ribbon and yarn. I hot glued green polka dot ribbon around the rim of the jar below. Then I added yarn and a jingle bell to the tag. Sweet and simple! Maxwell helped me make these reindeer mason gift jars for his teachers. He was in charge of antler hunting! Not gonna lie, he was very good at his job! If you need an antler hunter, you can pay him in Whoppers! 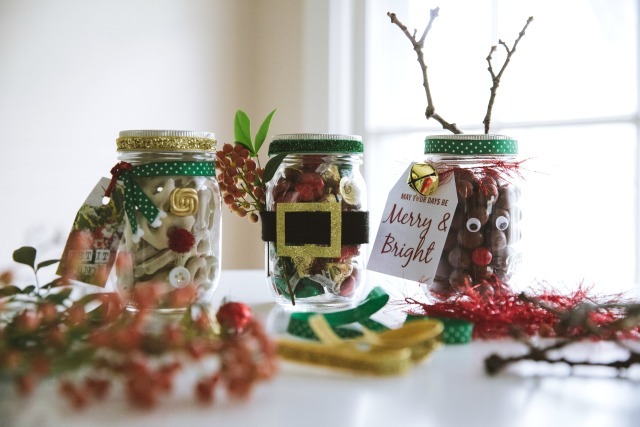 We made a few more sweet treat versions of mason jar gift ideas. Santa’s belt it filled with festive chocolate treats and the snowman is filled with yogurt covered pretzels! I will share more details about those mason jar gift ideas in a post soon. 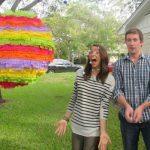 Since this is the 3rd post in the series of 3 DIY gift ideas, we decided to do a secret Santa exchange with another blogger in the series! I sent cute reindeer noses and Marisa from Food in Jars sent me these delicious soups complete with spices and directions. We’ve already devoured the red lentils and orzo and I can’t wait to try the other 2 soups. Soup is my favorite in the winter! And like I said above, edible gifts are always a winner! Thank you so much, Marisa! 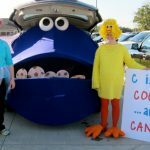 Cool what a neat project to make with the kids! They are so cute. Great ideas. Thanks for sharing.